Top Vietnamese Researchers have published two very important studies regarding the Impacts that Hydropower Dams have had in Vietnam over the past 40 years at Social, Economic and Environmental levels. A review of Relocation Policies, ensuring increased assistance to displaced communities. And more. The result has led the authorities and the central government to reconsider hydropower development plans. To date there have been 400 hydropower projects across the country either suspended, dismantled, adjusted in scale or forced to change their operation procedure. Yet neither study is mentioned nor their results highlighted during national or international Mekong River Meetings among Lower Mekong countries. Hence, decision-making regarding Hydropower Development in the Mekong River basin has been deprived of vital information based on local experience. Of great concern is the fact that both Cambodia and Laos have dramatically increased the number of Hydropower dams they plan to build in the Mekong River mainstream and its tributaries. Cambodia decided in December 2015 that it will not build 2 hydropower dams, but instead, it will build 14 Dams – with loans from the Chinese banks. Laos had proclaimed it would build 170 dams in 2015, but recently changed its mind and reported that it will now build 350 Dams – with loans from the Chinese banks. Effectively, such a “Conference” turned out to be a golden opportunity for Hydropower Industry Companies, Leaders of Lower Mekong countries, and Banks to cut their deals, with total disregard for the environmental, economic and social impacts of such deals on the Lower Mekong basin. China-controlled Cooperation Agency for the Mekong basin was announced, i.e. 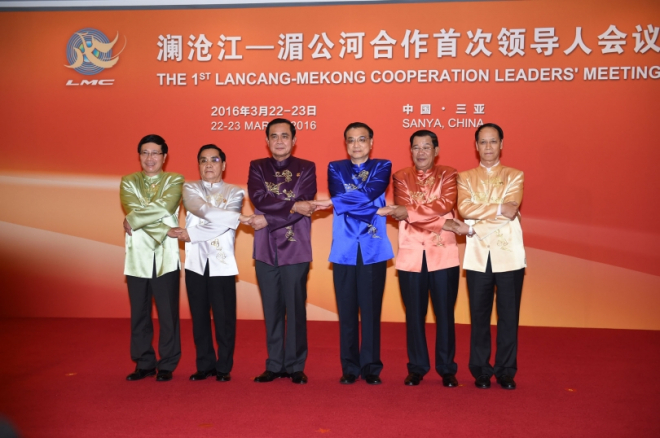 the Lancang-Mekong Cooperation Agency (LCM). It appears this Agreement may replace the “Mekong River Commission” role in helping resolve disputes, and will now be resolved in this economic forum context. Our aim is to bring these important studies to the attention of policy makers and the Leaders of Laos, Cambodia, Thailand and Myanmar, in the hope that they will heed the warnings and lessons learnt by Vietnam. We hope common sense will prevail to reduce the China-led frenzy of Hydropower Development in the Mekong Basin, and ensure the viability of the Mekong River, its tributaries and its Delta for the benefit of the 60+ million people dependant on it for survival. We thank the main authors of these papers Dr. Le Anh Tuan & Dr. Dao Trong Tu for allowing us to publish these articles in this website and to publicise them. © Copyright 2016 - Scientists for the Mekong -- "Clean Waters and productive Water Ecosystems are the RIGHT of every human, animal and plant on Earth"